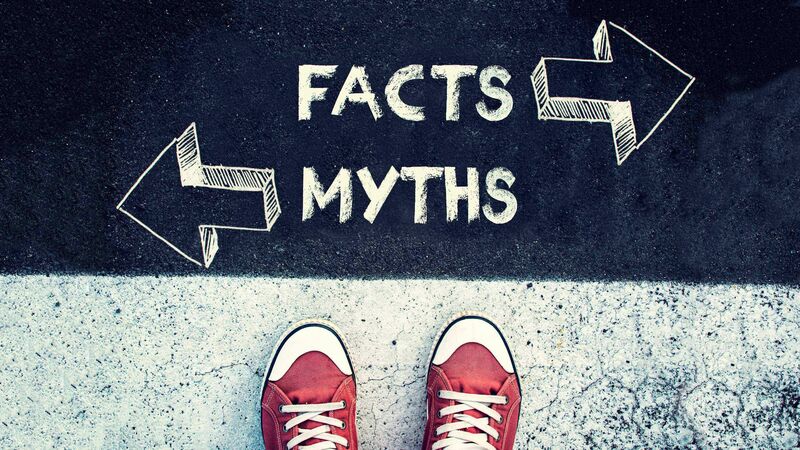 When it seems as though politicians and others can’t agree on basic facts, it’s more important than ever to encourage our students to seek truth. Because I teach American history, government, and journalism in high school, Sullivan’s words hit close to home. I spoke with my students about Mary Beth Hertz’s Edutopia post “Battling Fake News in the Classroom,” and I sensed that many of my students, while skilled at what Hertz fittingly calls “crap detection,” were still deeply troubled by what they characterized as a growing public aversion to the truth. When politicians and thought leaders can’t or won’t agree on a basic set of facts, how can we motivate students for the noble pursuit of truth and help them see why it still matters? First and foremost, facts should inform our views about history—and anything else, for that matter. 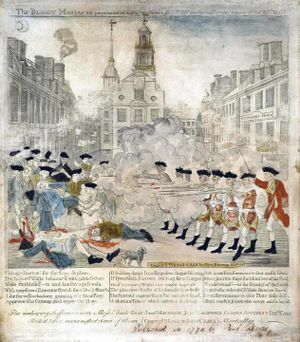 To get that point across, I asked my history students to debate a quote from John Adams, who in 1770 successfully defended British soldiers accused of indiscriminately firing upon a Boston crowd—the Boston Massacre. “Facts are stubborn things; and whatever may be our wishes, our inclinations, or the dictates of our passions, they cannot alter the state of facts and evidence,” Adams said during the famous (or infamous) trial. Next we discussed the motivation behind Paul Revere’s engraving at left, which falsely depicts the Boston Massacre (we also looked at an interactive graphic of Revere’s engraving—free subscription required). I wanted to leave students with an accurate understanding of the historic event, but I also wanted to foster in them a larger appreciation for discovering the truth, why it matters, and how easily it can be manipulated—in this case, to fan popular resistance against an occupying British force. When I reached out to Sullivan via email, she told me that studies in history and civics are critical to finding “the answers in a post-truth world,” and that both subjects should be taught “through the lens of what is happening right now—the news of the day.” I pride myself on exposing students to journalism that relates to a current unit of study. During a lesson on federalism, for example, students discuss whether certain federal laws could challenge a state’s legalization of marijuana. I want to help students develop an innate interest in discovering the whole truth—not just about the past, but also about how they are impacted by what’s occurring in the here and now. An unavoidable challenge arises when students realize that no matter how many facts support a certain conclusion, denial and dissent remain. Recently, for example, my government class discussed how, faced with a mountain of scientific data, anybody—including politicians—would refute global warming, or the role that humanity plays in its occurrence. Unfortunately, this kind of discussion leads to students’ doubting the power of truth to influence and inform wise decisions, which in turn makes them question the purpose of working hard to learn at all. Bobkowski reminded me that history tends to prove his assertion right. But I wonder whether I am doing enough to foster confident, resilient students, eager and prepared to fight for the truth—in some cases, even against persistent, uninformed backlash. Along those lines, Bobkowski and I spoke about the importance of polite exchanges when people disagree on truth, and how truth should influence policy. “I think we are losing the graces of dialogue and respect, and the ability of at least listening to one another a little bit,” he said, reminding me that truth affects people differently. It would be hard to dispute that coal contributes to global warming, for example, but it’s also true that efforts to stop its production place jobs in jeopardy. In my classroom, I encourage students to discuss the truth and its ramifications from multiple angles. The diversity of the student body where I teach plays an important role. Last year, students in my government class, coming from different socioeconomic backgrounds, spoke about the benefits and drawbacks of gentrification. All of this gets back to my exchange with Sullivan, who says that students should read broadly from individuals across the political spectrum. “Then, it’s important that they have a chance to test those opinions, and their ability to express them in discussions—both with their peers and with knowledgeable others,” she writes. I couldn’t agree more.